I have touched on equalization previously, but one undeniable way Maxime seeks to represent all Canadians equally, including Albertans, is at last putting equalization under the microscope. In a speech posted on the PPC homepage, he lays out a very good, common sense argument against equalization...at least as it stands. Maxime uses Alberta as an example, when he says: "With its strong economy and strong energy sector, Alberta has been for years a net contributor to the equalization program. Its citizens pay federal taxes to fund it, but the province never receives any of it." That couldn't be in more stark contrast with the total sum paid out by Alberta, including transfer payments, which stands at 250 billion dollars, and shows the true scope of the robbery is evident, and jaw dropping. "With its strong economy and strong energy sector, Alberta has been for years a net contributor to the equalization program. Its citizens pay federal taxes to fund it, but the province never receives any of it." In the same speech, Maxime also addresses the drawbacks of the equalization program on the "have-not" provinces, by saying: "There is a myth that equalization at least has the benefit of helping have-not provinces economically. But the opposite is true. It has created a poverty trap that prevents them from developing to their full potential." Those last two words, "full potential", describe what should never be denied to any individual, nor should any individual, or group of individuals, be hamstrung in the ability to achieve that, in the name of not only personal, micro economic progress, but also greater, macro provincial economic progress, and societal progress, along with increased provincial independence from the federal government. "There is a myth that equalization at least has the benefit of helping have-not provinces economically. But the opposite is true. It has created a poverty trap that prevents them from developing to their full potential." 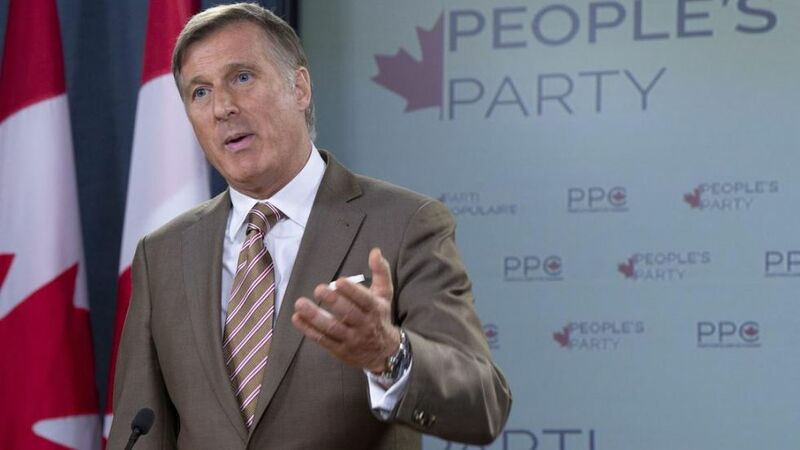 "As leader of the[People's Party] of Canada and prime minister, I will propose first of all to freeze the envelope devoted to the equalization program." It's the second part that seems to indicate he wants to see the program become less of a crutch, or safety net, ultimately culminating in less and less provincial dependence on federal redistribution. Hopefully, the day will come when equalization can be phased out completely, and individual provinces can attain their fullest economic independence. "Second, I will set up a parliamentary committee with the goal of reviewing that envelope, examining the current formula and proposing a new one. That new formula should avoid the welfare trap and perverse effects identified by economists. It should encourage provincial governments to take responsibility for their bad decisions, adopt the right pro-growth economic policies, and reduce their dependency on federal money, instead of the opposite." 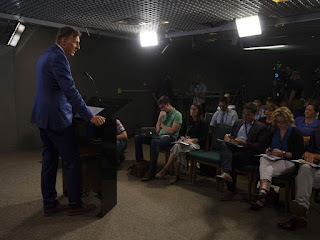 I would be remiss by not taking a detour, and mentioning the triumph of the Coalition Avenir Quebec(CAQ) party, and Premier-designate Francois Legault, in the recent Quebec provincial elections. According to a recent article in the National Post, the Premier-designate has stated his desire for a "zero equalization" Quebec, by saying: "What I want to say to Quebecers is that a CAQ government will seek zero equalization. A CAQ government will eliminate the wealth gap with the rest of Canada. A CAQ government will have ambition, will think big for Quebec." Maxime's home province now has a Premier who wants to think big for Quebec, just as Maxime wants to think bigger, and much better for Albertans, and Canadians as a whole. This development in Quebec would certainly have benefit to Alberta, and Albertans, should the CAQ goal of "zero equalization" be realized, and I certainly wish Premier-designate Legault godspeed in getting that process started. “What I want to say to Quebecers is that a CAQ government will seek zero equalization. A CAQ government will eliminate the wealth gap with the rest of Canada. A CAQ government will have ambition, will think big for Quebec." Whether it be building the needed infrastructure to carry Alberta's oil to market, or his plan to turn the current equalization program on it's head, Maxime does indeed wish to give individual provinces more power, and more autonomy from the federal government. Also from the same piece, Mr. Henderson draws both a parallel, and a distinction between the U.S. and Canada, by saying: “Even Donald Trump represents a group of people that are sick of the establishment. Canadians will want to engage with a party that can transcend titles like liberal and conservative. I just think we can do it in a more pragmatic and sophisticated way than our neighbours to the south.” Whether one agrees with him or not, one thing is very clear, and that is Maxime Bernier's uniquely Canadian version of the Trump effect cannot be denied. As an American, I can see a very similar spirit developing with the rise of Maxime, and the PPC, and although my focus in this post was primarily on elements of his equalization policy, which stood out to me, I encourage all to look at the entire PPC party platform, which I have linked here. As I stated earlier, the price of authenticity can be high, but being authentic is priceless. I look at President Trump as a very authentic leader, but his authenticity is by no means a marker of perfection, and it does come with a price, in the form of vicious, daily assaults from the left wing enemedia, and associated Democrat party apparatchiks. At the same time, the overall work that he has done, as my president, on behalf of my nation, has indeed been priceless. Maxime reflects President Trump's quality of authenticity, as well as being imperfect...and the way he wants to transform Canada for the better, is most certainly priceless. The battle will be nasty, but I hope that PPC support continues to grow, both in Alberta, and nationally. May God bless Maxime, and the PPC on the path forward...and may God bless Canada. An Alberta that has been put in disarray, would be welcomed in the U.S.A. 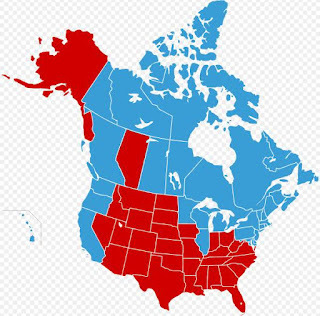 The topic of Alberta leaving Canada, to become the 51st state in the United States of America, is one that this American has been pondering, as a potential solution to the alienation Albertans have felt for quite sometime now, within confederation. I would like to touch on a few reasons I think that having Alberta as a 51'st state of the union would, or possibly could be beneficial to Alberta, as well as touch on the current purgatory Alberta has been placed in, with regards to getting it's most important natural resource flowing, which is oil. 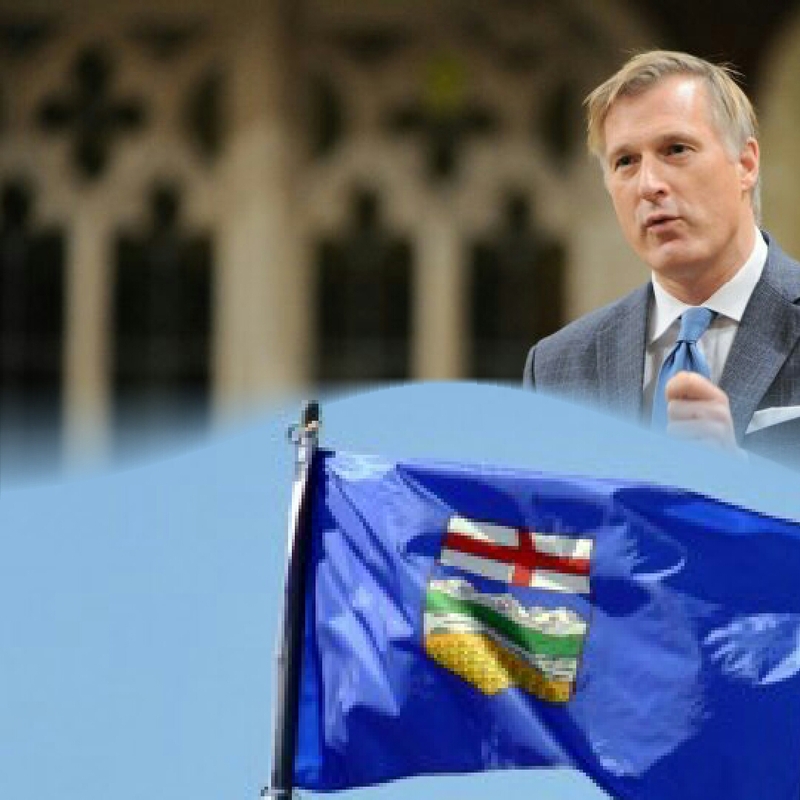 Maxime Bernier is risking it all...for the reward of Canadians.